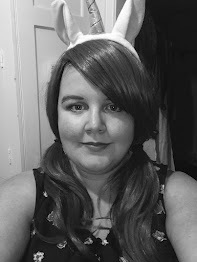 081. Loveable Lilac didn't really smudge, more faded into oblivion, with the colour disappearing almost completely. 011. Sable Brown doesn't smudge, but fades instead, despite the fading the colour is still prominent. Verdict: The Lilac and Brown both faded more than smudged, with the Lilac fading the most. The Green smudged, but I wasn't quite convinced that the colour at the area where the liner was initially drawn was prominent enough to create that great of a smokey-eyed look. However, the Green still performed the best overall, so I declare it the winner of this round. eyeliner is knowing that it isn't going to have smudged everywhere within an hour of applying it. So many eyeliners leave me with smudginess especially under my eyes, which I find really irritating, so I'm going to leave the colours for an hour, before rubbing them for smudging. From yesterday's expermiment, I came to the conclusion that the swatches should be tested for longer than an hour, therefore exactly as with yesterday, I'll be rubbing the swatches periodically, before washing my hands to simulate moisture from the eye. Result: I was actually really disappointed with how poorly each of the Rimmel shades performed. All three are very, very faded, with the Lilac being pretty much gone at the end of the experiment, other than a mark that you'd really never guess it was originally lilac! The Brown and Green are still there, and you can tell what colour they are. Verdict: The Brown and the Green are the joint winners, although neither should be proud, because they certainly didn't hold as well as I'd like for an eyeliner. The Ultimate Rimmel Eyeliner: Begrudgingly, I declare the Jungle Green, as the Ultimate Rimmel Eyeliner, not because it performed particularly well, but it wiped the floor with the Lilac, and since it was the only liner to (just about) pass the smokey-eyed look test, I have to place it just ahead of the also rubbish Brown. 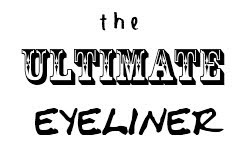 Tomorrow: It's Barry M's turn, as I continue in my challenge to find the Ultimate Eyeliner!